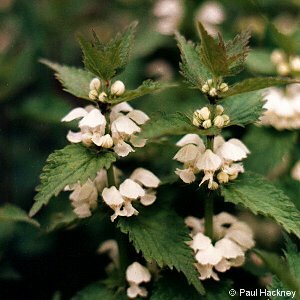 Dead-nettles are nettle-like in their leaves, but do not sting, and have showy flowers. This species is a rather infrequent plant of dumps and disturbed soils, mainly south-central in occurrence within Northern Ireland. All names: Lamium album L.